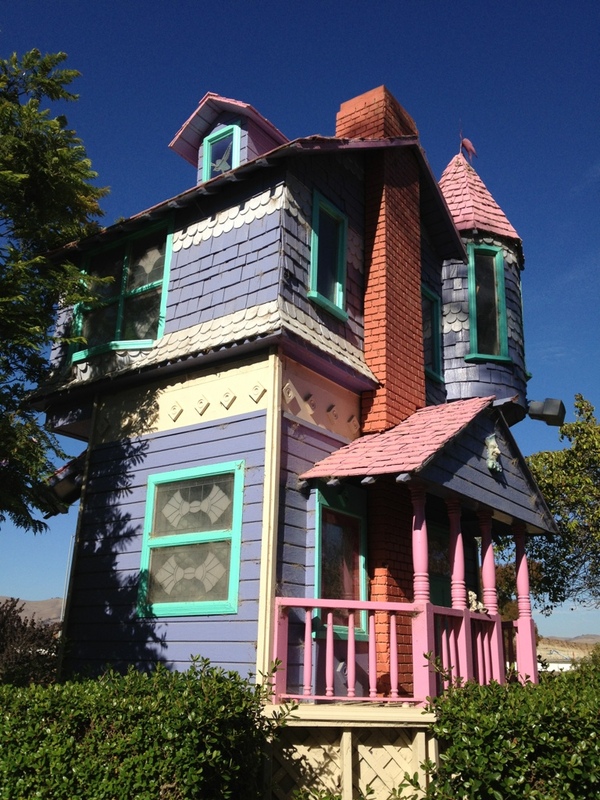 This is yet another miniature house featured at Boomers miniature golf course in Santa Maria, CA. The detail is quite remarkable. Even has a cat on the porch. Boomers arcade and miniature golf course is right off the 101 (exit Broadway). Cheap and a tad run down, it is still a great place to stop on your trip North or South on highway 101 with the kids. I took this picture with my iPhone 4S around 5 PM. I thought that though this miniature house along with another at the beginning of the course showed obvious signs of neglect, it is quite intricate in detail and not your average miniature golf course backdrop.